a division of Applied Soil Technologies, Inc.
Caro Minas founded AES in 1985 after working with a number of major national and international engineering firms for 12 years. He received his BS (’75) and MS (’76) degrees in civil and geotechnical engineering, respectively, from California State University, Los Angeles. In addition to his extensive experience in California and Nevada, he has conducted major investigations for nuclear power plants, harbors, industrial complexes, and gas distribution projects in the Persian Gulf area. Today he is one of the foremost geotechnical engineers in the LA area and oversees all engineering operations at AES. In his spare time Caro likes to travel, and play tennis. Shant Minas is the principal engineering geologist and managing director of AES. As part of his tasks he oversees all field exploration, conducts detailed geologic investigations, and prepares reports and geologic maps. From the time he joined AES in 2003 he has been largely responsible for continued innovation and augmentation of AES’s growing list of services offered, including methane testing and mitigation design, percolation testing, feasibility studies and design for septic systems, water quality testing, fault studies, deputy inspection, and environmental investigations. 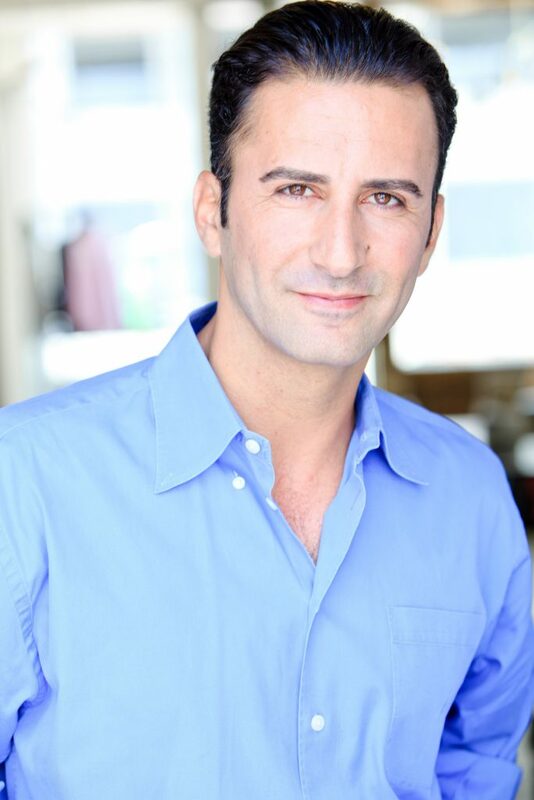 In addition to his primary expertise as an engineering geologist, Shant also has a broad academic as well as experiential background in environmental hydrogeology, and holds degrees in economics and financial mathematics from USC. He served honorably in the US Army with an overseas tour in Korea, and is currently the Chair of the Association of Engineering Geologists’ SoCal section. His hobbies include mountain biking, writing, and guitar. Lilian has been the office manager at AES since 2012. She is a TUV certified ISO 9002 (International Standard Organization for Management) auditor, and a Landmark Education graduate in the “Team Management & Leadership” program and the “Communication” courses. She has earned her B.A. degree in Language Art & German-Farsi Translation from Azad University in Tehran – Iran. She is also a musician, music educator, and the choir conductor at Homenetmen’s Ararat chapter since 2014. Eve graduated with a B.S. in Biological Sciences from California State University, Los Angeles, in 2013. She joined the AES team in June of 2014, while continuing her education as a Masters Student in Environmental Engineering at California State University, Fullerton. She is also enrolled in the A.D.N. nursing program at Glendale Community College. Eve spends her weekends volunteering at a number of animal welfare volunteer services, including Pasadena Humane Society and the Wildlife Waystation in Little Tujunga. Stella joined Applied Earth Sciences in August, 2015, after moving from Iran to Los Angeles with her family. She has extensive administration experience with companies like Toyo Engineering Corp, Mitsui & Co., as well as in various engineering, seismic, and petrochemical departments in the city of Tehran, Iran. She graduated with her B.A. in English-Farsi translation from the Language Arts Department of Azad University in 1999. In her free time, Stella enjoys exploring new destinations, swimming, and cooking new recipes for her family. Arsham (Marshall) graduated with a B.S. in Civil Engineering from California Polytechnic University, Pomona in 2012. Marshall joined the AES team in the summer of 2014 as a staff & field engineer and got his Los Angeles Building and Safety Deputy Grading Inspector license in June of 2015. Prior to joining AES, Marshall has had several years of experience working with different sized engineering companies, including a stint at the Los Angeles County Department of Public Works and private sectors in Orange County and Austin, Texas, working on a variety of projects ranging from dam/reservoir, bridge, tunnel and wind turbine design & construction to power plant assessment. At AES, Marshall’s responsibilities include engineering analysis, project management, field work, and inspections. Marshall recently passed his professional engineering license test. In his spare time Marshall enjoys playing sports, mountaineering, watching sports as well as traveling. Austin has been working with AES since September, 2008. Austin is currently pursuing a degree in Geography at Pasadena City College. He currently holds a certificate From PCC in Construction Inspection, and recently obtained his Deputy Grading Inspector license in 2017. Due to his love of being outdoors, Austin spends most of his time on the field performing percolation tests, field inspections prior to construction, and installing methane probes. In his free time, Austin is involved in many extracurricular sports leagues, including softball and football. He also spends his weekends restoring classic cars. David joined Applied Earth Sciences in January 2016 as a soil technician, after deciding to shift his career choice toward Geologic Sciences. He assists the laboratory manager in various tasks, such as running the shear and consolidation tests and ASTM D-1557 Maximum Density Tests. He also assists in fieldwork, including methane probe installations, compaction testing & observations. He is currently studying for the ICC inspector exam, in addition to finishing an A.S. Degree at Pasadena College in Construction Inspection – Engineering and Industrial Technologies. David is also a professional musician, touring with various international singers around the world. Eric received his B.S. in Civil Engineering from California State University Northridge in 2016. He began working for Applied Earth Sciences in the summer of 2015 as an engineering intern and eventually received a full time position as a field engineer after he graduated. Eric received his Deputy Grading License from the City of Los Angeles Building and Safety in November, 2017. Some of Eric’s duties in the company include inspections, managing drilling, and calculating engineering analyses. He aspires to get his master’s degree in Geotechnical Engineering in the near future. Some of his interests within civil engineering include geotechnical, water resource and transportation. In his free time, Eric enjoys hiking, snowboarding, and spelunking. Raffi came to AES in 2001 with over 20 years of drilling and construction experience with a number of large engineering and construction firms, including Halliburton and InterDrill. At AES, Raffi manages our materials testing laboratory, and serves as a valuable mentor to staff engineers and technicians. Additionally, Raffi oversees all drilling activities, ensuring timely scheduling of field work and soil sampling. He is also responsible for quality control in the soils Testing Laboratory. Additionally, Raffi performs field observations for shoring piles, foundation piles, drainage systems, and compaction tests. 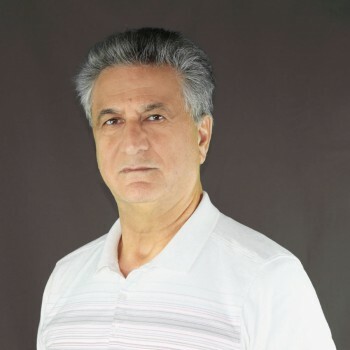 Reza has been employed as a staff engineer for AES since 1994. He received his BS degree in civil engineering from Fresno State University and holds certificates in environmental engineering. Reza is a seasoned veteran in field inspections, including grading, shoring, and deputy work. He also holds certificates in wastewater treatment, hazardous materials, and environmental biology. Reza provides consultation and advice and mentorship to younger field engineers, and routinely oversees all AES field observation and testing programs during course of construction. Reza is a Registered Deputy Grading Inspector and a member of the American Society of Civil Engineers. Richard Crook is a recognized veteran and one of the early pioneers of engineering geology in southern California. He has worked on major geologic investigations for the USGS and Caltech, including the Sierra Madre fault and the Santa Monica fault studies. His published maps and reports are in wide use today by practicing geologists in southern California. he has also worked as an instructor at UC-Riverside and CSULA. Richard is a member of the American Geophysical Union and the Association of Engineering Geologists. Richard has worked as a geologic consultant to AES since AES’s founding in 1985, and currently consults AES on fault study projects. Sevada joined the AES team in June of 2017 after graduating with a Master of Science degree in Civil & Geotechnical Engineering from California State University, Los Angeles. He migrated to Los Angeles from Tehran, Iran in 2000 and opened an Italian Restaurant called Georgie’s Cucina with his father, and helped manage the restaurant during his college years. Sevada’s responsibilities within the company include field observations, compaction testing, running percolation tests, drilling, logging, and sampling. He is currently working on obtaining his ICC & Deputy Grading Inspector licenses. In his free time, Sevada enjoys watching & making movies, camping, and hiking. Suresh joined the AES team in 2013, working as a designer for methane barrier, de-watering, and waterproofing systems, as well as inspecting passive and active methane mitigation and waterproofing systems for residential, commercial, and industrial buildings. He received his Bachelor Degree in Civil Engineering from the Institution of Engineers in India, and worked at numerous companies in Nepal before moving to the United States to further his career. He is a Registered Deputy Inspector for Methane Barrier Systems, as well as a Certified Inspector for Waterproofing and Methane Barriers. He also holds an Engineering-In-Training License from the California State Board for Professional Engineers. Talin graduated with an M.S. in Petrology from Azad University, Tehran, in 2013. She came to AES as a staff geologist in 2017 with eight years’ experience working as a Geologist in various geological, environmental, geotechnical, construction, oil, and gas projects, and has designed structural details for a number of structural companies in the U.S. She is fluent in 4 languages; English, German Armenian, and Farsi, and also has her jewelry design certificate from Gemological Development Institute of Iran under the supervision of Shahid Beheshti University and Cabochon certification from Institute of Gemology. Toufic (Ted) graduated with a degree in Geology in 2013 from the University of California Northridge. He also holds an M.S. degree in Environmental Engineering from the University of California Fullerton. He got his first practical experience performing lab soil testing along with field soil inspections. He holds a soils special inspector license from the International Code Council (ICC), a Deputy Grading Inspector License, and is a certified Nuclear Gauge safety handler. Ted is currently putting his educational background to use more effectively by juggling between the geology and environmental scope of work at AES, which includes conducting hillside field explorations and project management to environmental phase I assessment. His hobbies include motorcycling during the weekends and he is an avid aviation enthusiast with plans to earn his private pilot license. Wahick (Vince) joined AES in 2013 as a staff geologist & AutoCAD drafter. He earned his B.S. in Geology in 1992 from University of Tehran. Wahick worked as a geologist in different dam construction companies back in Iran before coming to USA in 1999. He got his AS in Architectural Design from Glendale Community College and a certificate in Construction Inspection from Pasadena City College. Wahick is a registered Deputy Methane Barrier Inspector in the City of Los Angeles. He also has years of experience working as a designer & drafter in various architectural & structural engineering offices in Los Angeles. Christopher earned his M.S. in Applied Geoscience from the University of Washington (Seattle) in 2016 after completing a B.S. in Geology at Portland State University in 2014. He joined AES in the summer of 2018 as a project geologist with nearly 10 years of experience in environmental and engineering geology. Christopher’s responsibilities include conducting Phase I and Phase II Environmental Site Assessments, hillside geotechnical investigations, and fault studies. He is an active member of the Association of Environmental and Engineering Geologists. In his off time, you will find Christopher exploring the many mountains and beaches of southern California. ©2014 Applied Earth Sciences, a division of Applied Soil Technology, Inc.